Should Home Service Companies Use Social Media Influencers? If you have ever noticed popular Instagrammers or Twitter users showing off sponsored products to their followers, you may have wondered if that tactic would work for your own business. Accounts with thousands of followers are considered “social media influencers” for a reason: their actions and endorsements have the power to influence their network. But does this type of social media marketing work for every type of business? At VitalStorm, our team of experienced social media strategists can discern whether or not social media influencers would be a beneficial addition to your overall marketing strategy. Here are some pros and cons to influencers that can help you better understand how they are best utilized. Influencer marketing is popular because it is genuinely effective. There are definitely benefits to utilizing an outside source to bring attention to your product. Many consumers make the decision to purchase a product after seeing a favorite social media icon endorse it or recommend it. Influencers can add a unique validity to your business because an outside source is doing the sales work for you. Even if consumers do not decide to make a purchase immediately based on an influencer’s post, they might follow a particular brand or business on its own social media channels. This improves reach and engagement without having to use regular paid advertisement services. On the flip side, not all brands and businesses benefit from traditional influencer marketing. Sometimes when influencers promote a business on social media, it doesn’t come across as genuine to consumers. If a product or service seems out of place and it is clear that the influencer was paid to promote the business, it can actually be a turn off for potential customers and have a negative impact on sales or leads. 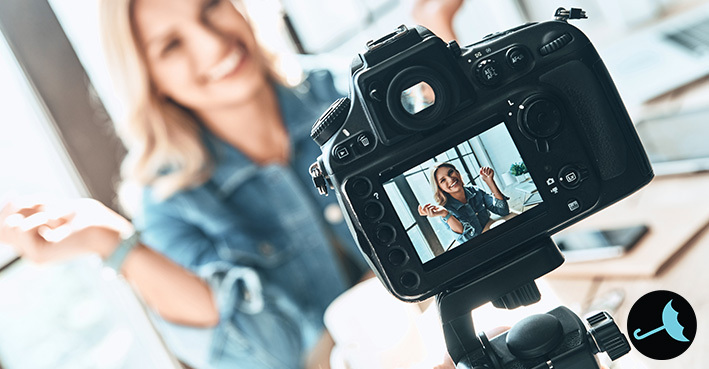 Since influencer marketing is often very expensive, it can be discouraging and problematic for business owners who don’t see an upward trend in results. While influencer marketing can be a helpful component to your social media strategy, it can also backfire. It is important to enlist an influencer who is genuinely relevant to your particular industry or voice to endorse your services authentically. Beware of digital marketing agencies that rely on influencers and use a one-size-fits-all mentality for diverse types of businesses. Home service companies are unique, so their marketing strategy should be unique as well. At VitalStorm, we tailor each client’s social media strategy to their industry and brand. We create written content and engaging imagery in-house that attracts new followers and higher post engagement organically. We give our clients their own unique voice on social media, and the results speak for themselves. Our Social/Local team at VitalStorm will tailor your social media strategy to your specific business. If you are interested in boosting your social media performance and overall reach, give us a call at 877-311-5695.